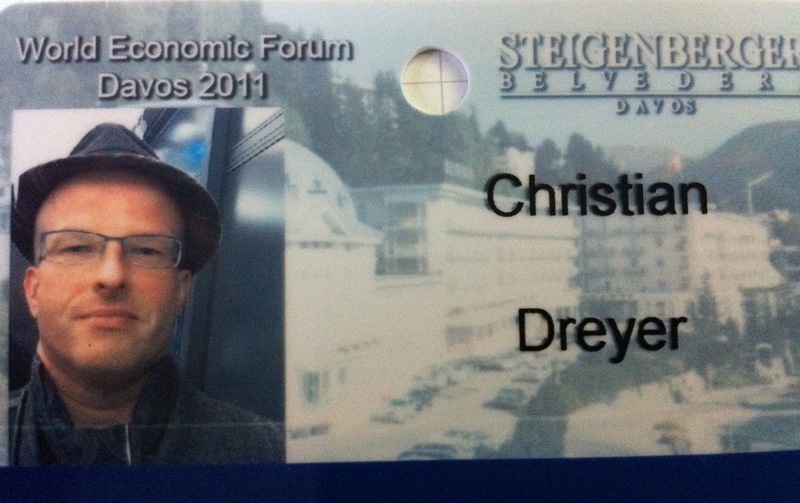 The other day, I've had my first fleeting WEF exposure (with hat) when I presented my contribution to Trust Meltdown II during its launch event in Davos. In my piece (Trust, where trust is due), I look at trust as a policy objective which has substantial limitations under conditions of uncertainty (here is a taxonomy). Those limitations are under-appreciated in practical policy. This lack of appreciation is probably due to an involuntary anthropomorphism: trust, the aggregate state of an economy is mistaken for trust, the interpersonal concept. Read the intro to Trust Meltdown in Roland Schatz' Washington Post column. Influential Swiss daily Neue Zürcher Zeitung has quoted me on the subject of the appropriate choice of mortality tables for Swiss pension funds (here and here, both in German). Most Swiss pension funds still use period life tables rather than the more realistic cohort life tables (for a distinction see here - nothing useful on Wikipedia, but a nice Wolfram demo here). Cohort tables are preferable because they better reflect increased longevity, whereas period tables have to be adjusted manually. Given that longevity continues to improve, the use of period tables will give systematic advantage to the present pensioner cohort at the disadvantage of future cohorts. The recently published "technical basis" BVG2010 makes available a set of cohort life tables for the first time. It would make sense for pension funds to adopt that new basis as soon as possible, despite the consequential nominal increase of their liabilities. Here is a fascinating account of the impact of ageing on the balance sheet adjustment that much of the private sector is beginning to go through by the Deputy Governor of the Bank of Japan, Kiyohiko Nishimura. He claims that this balance sheet adjustment (aka de-leveraging) is unprecedented and qualitatively different from earlier episodes as it hits mature, ageing populations rather than growing, young ones. He demonstrates impressively how the downturn of the inverse dependency ratio coïncided with the busting of the property bubbles in Japan, the US, Greece, Portugal and Spain. He also addresses the ineffectiveness of monetary policy transmission mechanisms in that environment, obviously from the pioneer vantage point of Japan. If this is confirmed, it may well be that we are at the early stages of a renaissance of a quasi-physiocratic movement. The thought is certainly fascinatingly plausible that the baby boomer bulge moving through the demographic "pyramid" has a strong (leveraged?) impact on housing prices: inflationary in the acquisition phase and deflationary during disposition. The impact reverberates into the highly leveraged banking sector via the mortgage leverage linkage. The demographic shift is well documented for most mature economies. Another important driver that has more aspects of a zero-sum game may be that of migration: Anecdotal evidence for the small Swiss market shows a strong influx of well-paid foreigners into Switzerland in the recent past. This may be an important contributor to the upswing in the Swiss real estate market that the SNB is beginning to sound the alarm about. It probably compensates some, if not all of the ageing impact in this particular market. So I wonder whether central banks also watch migration. Interestingly, the correlation between real asset prices and ageing populations was confirmed in an earlier BIS working paper, although the author was very cautious about his conclusions. The time series he analysed was much shorter (1970 - 2009), and he did not look at it from the perspective of the ongoing balance sheet adjustment. But as per Mr. Nishimura's view, that combination may indeed lead to "the distinct possibility that this time may truly be different."